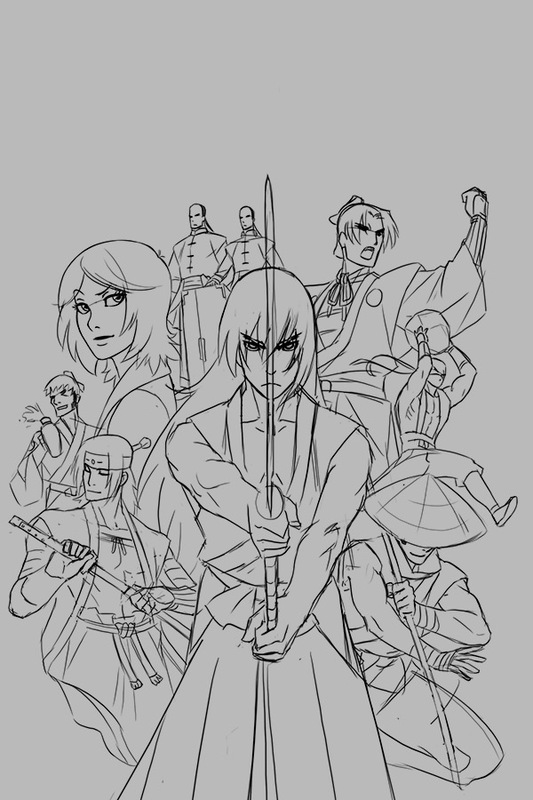 I wanted to post my work-in-progress for the Volume 2 cover. I threw in all the major volume 2 characters, they get smaller as you go from primary to tertiary. It’s missing Suzuka and Masuhiro, though, but I feared it becoming too busy. Minor details to note, Ken’s in his Kabuki outfit, and Bunzo’s carrying a rock!